We had a quick layover in Lima and boarded our next plane to Cusco. Our Inca Trail reservation incuded an airport pickup so we took advantage of that and got dropped off at a hostel we picked out online. We checked into the VIP House hostel and went to explore the city. Our trek would start early Tuesday morning so we had 3 days to acclimate (Cusco is at 3400 meters) and relax. Sunday evening we met up with our Canadian friends we met in the jungle for a drink. Mmm pisco sours. Equal parts dangerous and delicious. Monday we decided to get some food at the market and have a little picnic in a downtown Cusco park. The weather was perfect with beautiful mountain views. As evening approached, we made our way towards the tour agency office for a debriefing of the four day trek that would start the next day. We were anticipating meeting the rest of our group and were surprised when the meeting began with only us and the guide present. Apparantly, we were supposed to be a group of five, but one person just didn’t show up and two others were fighting altitude sickness. Our guide gave us a rundown on how the next four days would go. We were awfully excited to begin the trek the next day. After sorting our bags, I went to bed unable to sleep like a kid on Christmas. Early the next morning, we were picked up by our guide accompanied by 3 porters. 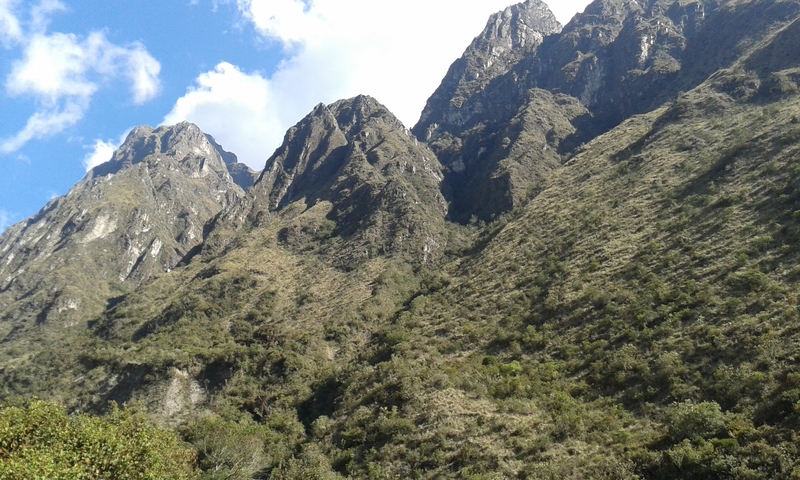 Somehow, we just got a private group on the Inca Trail. Sidenote – although we were the only 2 in our group, there were lots of groups on the trail at the same time. 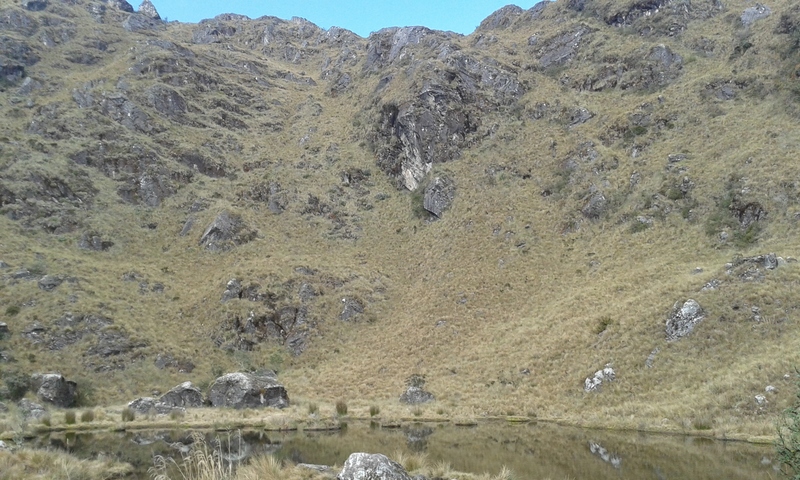 We took a van a couple hours to Ollantaytambo, then a little further toward km 83 where we began walking. After about 2 hours of walking, it was already lunch time, and the porters made the first of our amazing meals. After lunch, we made our way for about 4 more hours before we stopped for the evening. 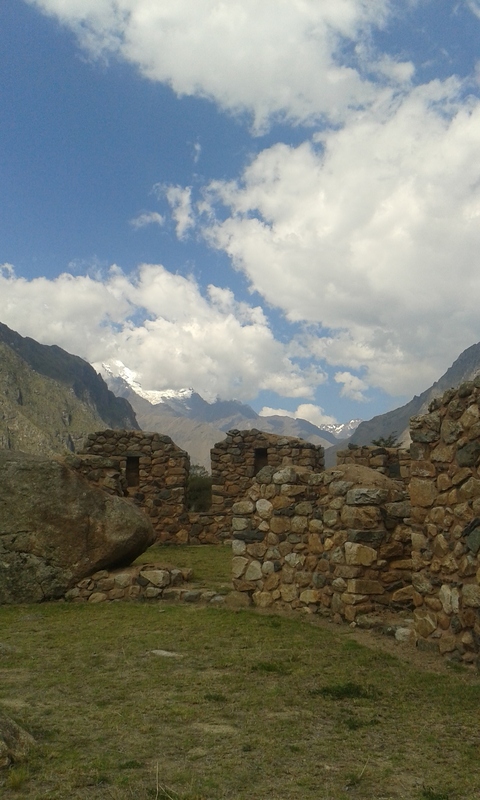 Along the trail, we saw a few ruins sites all with a stunning backdrop of the Andes. We settled in for the night in our tent and prepared for an early morning. 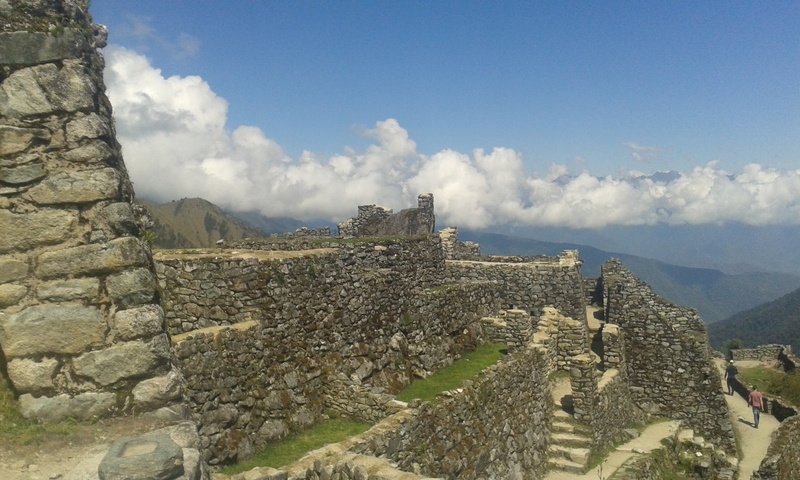 The next day, we were awoken by the porters offering us coca tea at about 5:30 am. We had tea and breakfast and began to make our way. 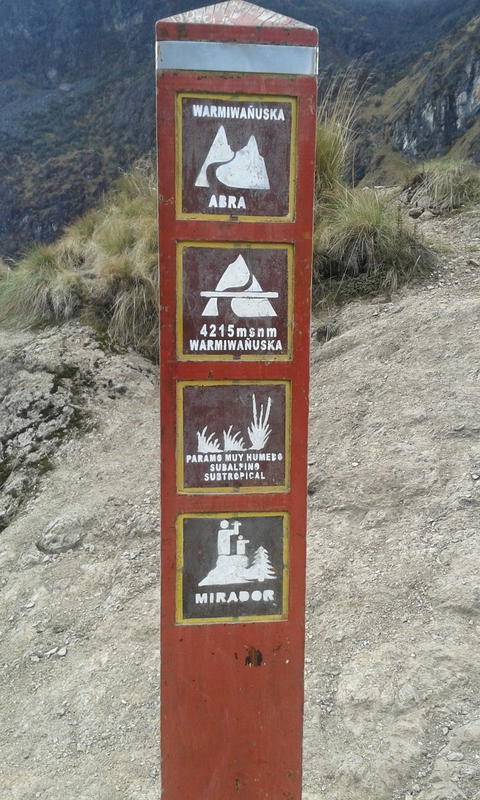 Day 2, we had been warned, was the most difficult day of the hike where we would ascend to 4200 meters. With amazing vistas in all directions, we climbed stair after stair after stair for about 4 hours. The pass was only made more difficult by the altitude and thin air. Once we finally reached the top, we rested for a bit in the cool air cheering on other climbers as they finished the difficult ascent. What goes up, must come down. Down we went for about 2 hours until we came to the next campsite. The view out of our tent was magnificent. We took and afternoon nap and filled up on another huge meal from the porters. View from the ten – I’ll take it! Wow, those porters. Every group also had a group of porters. These locals carry up to 20 kg (legally, I know some carry more) in their packs. They haul food, stoves, gasoline, kitchen tents, camping tents, chairs, tables, etc. They leave the campsite after you, literally running up these mountains, arrive at the next campsite before you and start cooking. We learned the cooks are required to attend cooking classes before being able to become a cook. Their jobs are beyond impressive. If you need to, you can hire a porter to carry your personal items as well. We didn’t, but it seemed that we were among the few carrying all of our personal items. We finished day 2 early feeling exhausted and a bit sore. The clear skies led to fabulous star gazing. We went to bed early, preparing for a long day 3. 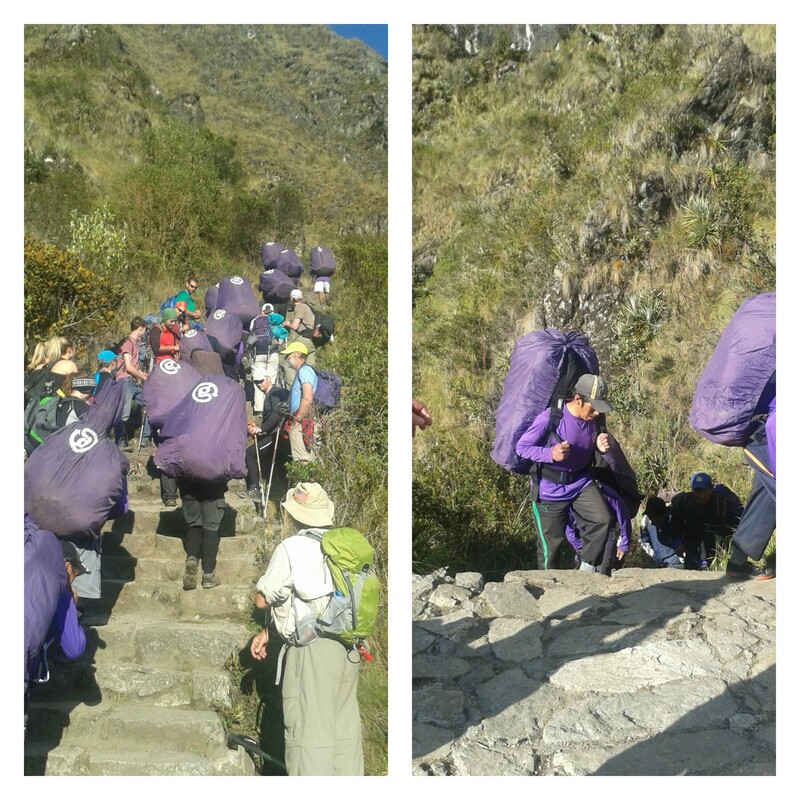 We were awoken again by the porters with coca tea at about 5:30 am. We began the day with about an hour of climbing more stairs. During this walk, we saw a lagoon and more ruins. After a quick break, we continued on our way to another ruins location, this one being one of the largest we had seen so far. After a little exploration and explanation, we walked to lunch location. After lunch, we had an amazing few hours, mostly in solitude, while gently climbing up the mountain. The views on either side were simply stunning. Eventually, we came to another larger ruins sight. After an explanation, we began a large descent. 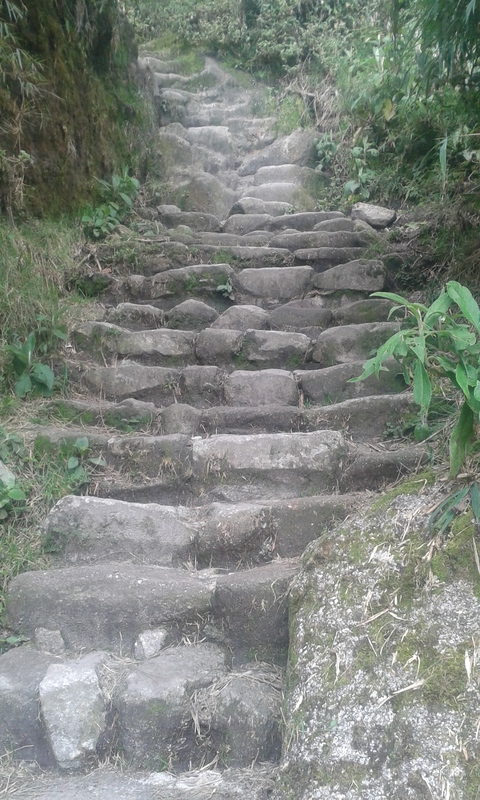 The walk was beautiful, but the stairs were quite steep. The plateaus of ruins in the distance soon began to grow as we approached. We took a rest and took in the views of the mountains. The river we could see below was flowing from Lake Titicaca towards the Amazon as it made its way to the Atlantic. We could see Machu Picchu Mountain in the distance. The site was a few hours away. We made our way to the campsite and had a final, huge meal prepared by the porters. We again went to bed early and prepared to be awoken at about 4:30 am. Early the next morning, we had a quick cup of tea and received a box lunch. We said goodbye to the porters and we started walking. The walk was quite abruptly stopped as we had to wait on a final checkpoint to open. After the wait, we began the final hour and a half of the trail. The sun was rising and everyone was very excited to see Machu Picchu. We scurried around the mountain up and down stairs. Some people pushing their way in anticipation. Eventually, we were rewarded. 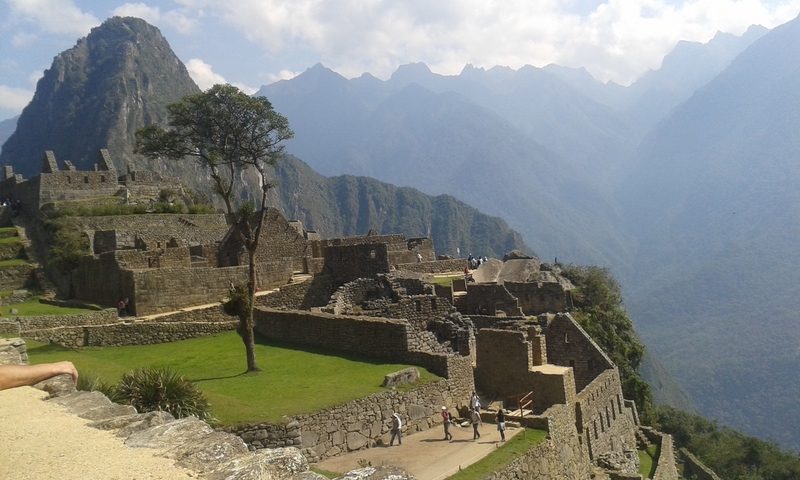 The Inca Trail finishes at the Sun Gate. In the morning, the sun pours through the gate, and it was quite a treat to see the sun shine down on Machu Picchu. After the last three strenuous days, the hike was almost to an end. We enjoyed our time viewing the site from above and eventually made our way down to explore the ruins. Loki Travels to Machu Picchu! The procedure is a bit strange as you must exit the ruins, go through ticketing, and return to the site, but so be it. 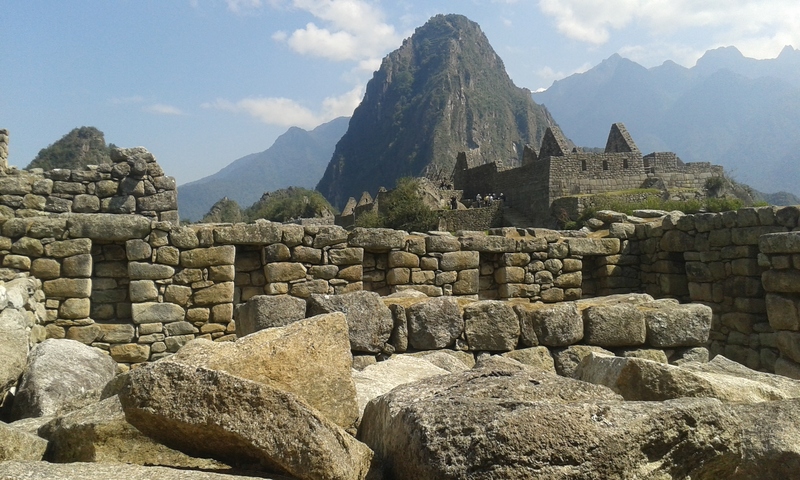 We made our way back in and our guide took us through Machu Picchu. Wow. There are a ton of people there. And the site is much bigger than the classic photo makes it out to be. Machu Picchu did not fail to impress, but I highly recommend taking a trek (there are many options) as opposed to just visiting the site. To me, the experience trekking in was more impressive than the site itself. Feeling pretty exhausted from trekking, Claudia and I made our way to the town at the base of the mountain, Aguas Calientes, pretty early. Our train (booked through our tour) wouldn’t leave for Ollantaytambo until 6:30 giving us plenty of time to spare. We took the bus down and decided to reward ourselves with pisco sours. Never a bad idea. After lunch, we ventured to find the natural hot springs to soak in. Hot might be an overstatement, but we enjoyed the warm springs anyway. After a couple hours, we made our way towards the train station. The two hour train back was filled with laughs as we met 2 Brits who were just as sleep deprived as we were. We also spotted a line of fire going down the mountain out of the window. Totally bizarre, I’ll probably never know what that was all about. When we arrived in Ollantaytambo, there was a woman waiting holding a sign with my name on it. We boarded a bus that would take an additional 2 hours back to Cusco. When we finally arrived back at our hostel, we collapsed and slept like rocks. After returning on Friday night, we spent an additional three nights in Cusco relaxing and enjoying the city. Though full of tourists, the downtown area is comfortable, safe, and full of restaurants, bars, and crafts. We really enjoyed the vibe of Cusco, but it was time to press on. Good thing you have this blog…I would be clueless since no one let’s me read your post cards at People’s.